Installation in a private residence in Brussels. Red/amber vertical pieces, 3 metres high. 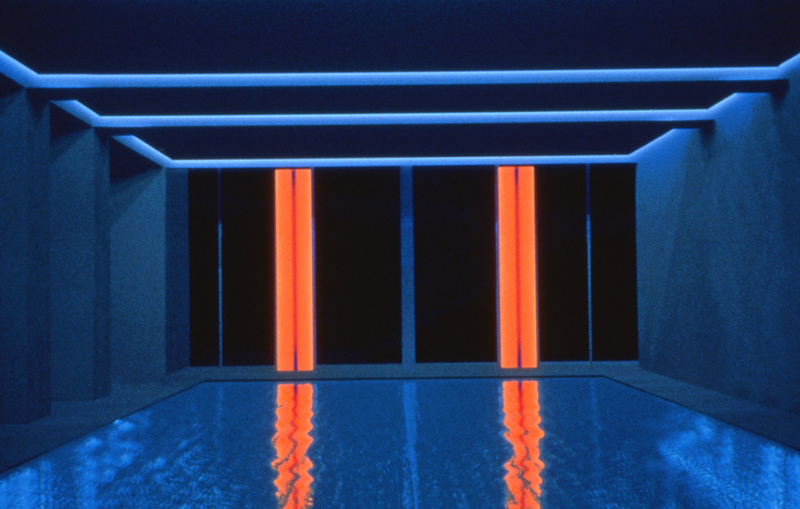 MDF, glass, fluorescent tubes. Manufacture: Rob, Martin of Oval. Acknowledgments: Jerome Jacobs, Bernard Prevot. 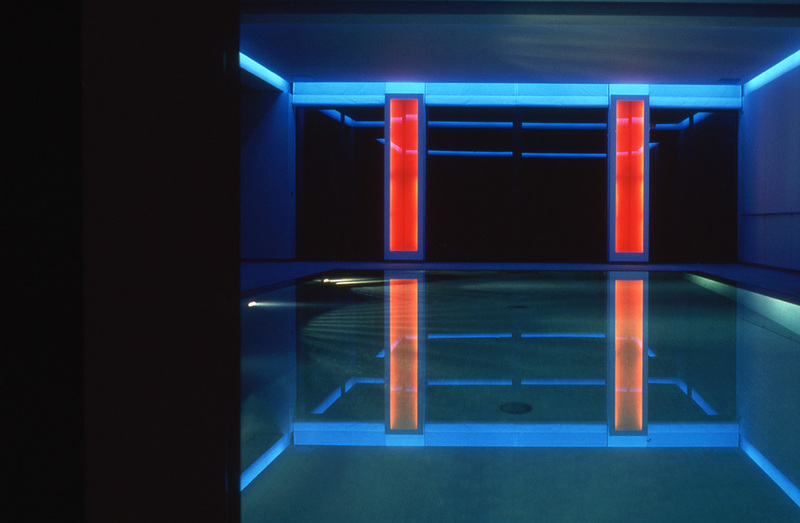 The show Priming Vision at the Damasquine gallery in Brussels in 1996 was visited by the Architect Marc Corbiau who suggested to his client, a collector, that I could intervene in various ways with his semi underground pool and sauna areas. There were five works installed, the two vertical red ones are surface mounted on columns on an otherwise glass wall leading to the garden.